SHIPS FREE!!! Calling all cat lovers! The beer cans in the 70's were made of steel, so they don't get too hot when you burn the candle. These are the 70's Old Chicago beer cans. Choose your can by using the drop down menu. There are two available. 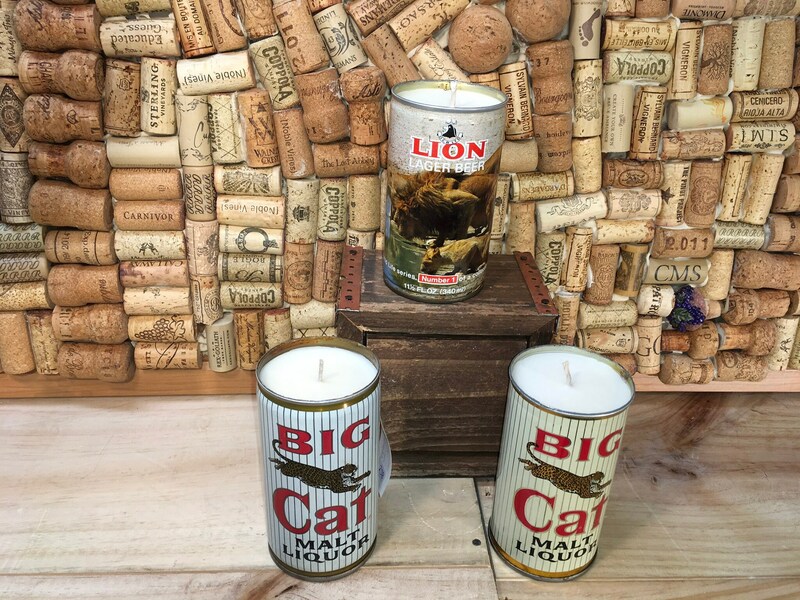 The Big Cat Can on the left has our Lemon Eucalyptus scent. 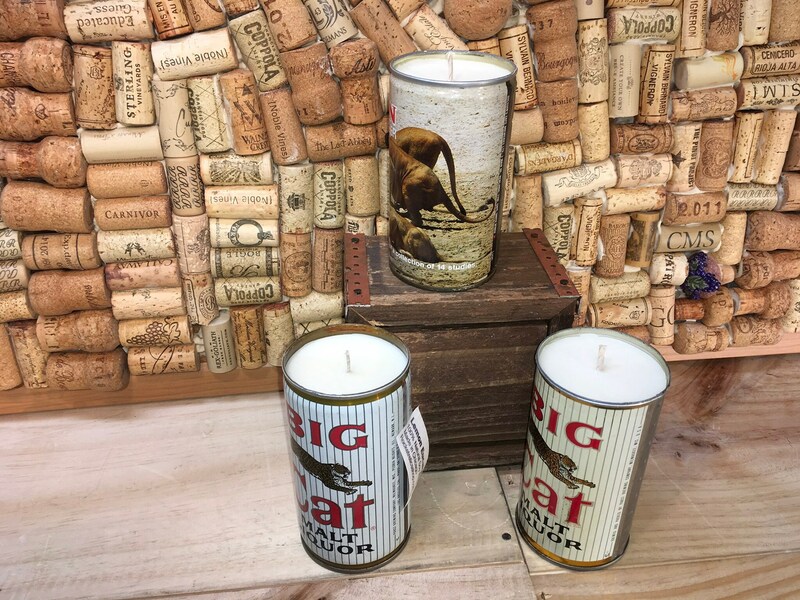 The Lion can has our Gypsy Spirit scent. Please see the scent description below. Gypsy Spirit: Our Gypsy Spirit fragrance has top notes of citrus and tea, middle notes of pepper and ginger, and base notes of cedar. My favorite! Lemon Eucalyptus: Our Lemon Eucalyptus scented soy candle. This scent is a powerful blend of fresh squeezed lemons with freshly picked eucalyptus leaves. It's Clean and invigorating! 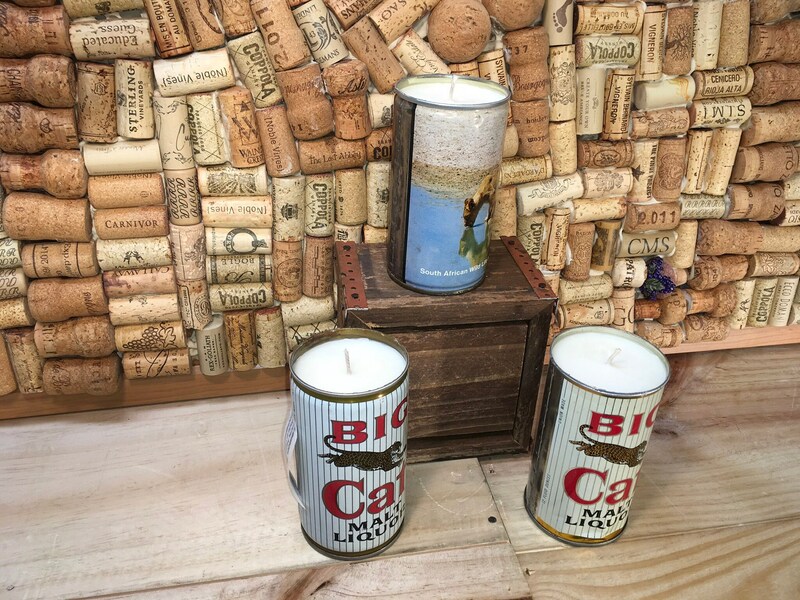 Check out our "vintage beer can candle" section of my shop! We ship on Mondays and Tuesdays. If you would like to pay for expedited shipping or have another request please message us for availability. Thanks!